Now that the big wedding, the civil ceremony, the extravagant British celebration, and the honeymoon are over, it’s time for George Clooney and Amal Alamuddin to settle down and return to their normal lives — acting, philanthrop-ing, and performing international law, of course. 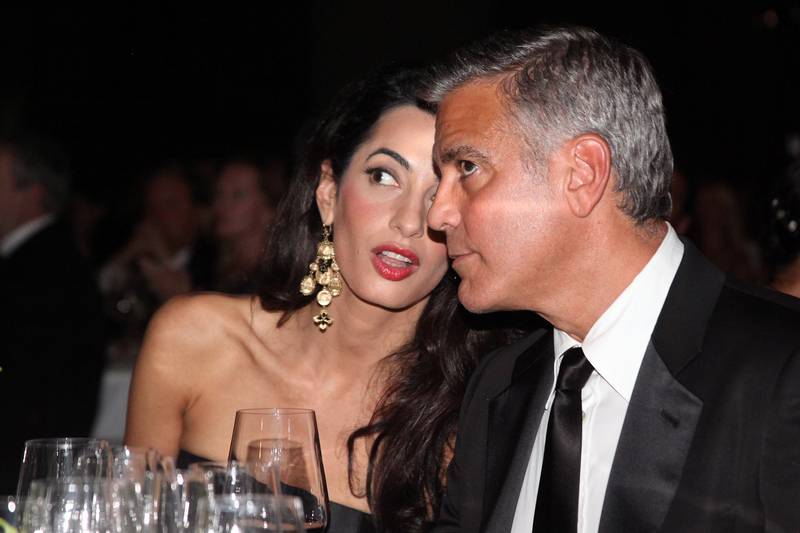 But where will Clooney and Alamuddin settle down? The jet-setter couple actually have a couple of homes they can spend their days together in. Clooney’s racked up quite a bit of real estate from his Lake Como digs to a Mexican villa, a Los Angeles home, and their new English manor. The couple can be in a new home every week of the month if they want. Now, as much fun as that might sound, my best guess for where these two will live on a regular basis is the new $12 million, Georgian manor the couple purchased. Not only is it located on a private island on the Thames in England, but it’s pretty much perfect for London-based lawyer Alamuddin. Besides, Clooney's an actor. He'll have to travel wherever his next role takes him anyway, and right now that role is to be a supportive husband to his internationally renowned lawyer wife. The house seems like the long distant cousin of the manor in Downton Abbey (called Highclere Castle in real life) and seeing as the Clooneys supposedly love the program — Clooney even did a charity film at the actual abbey — it makes sense that they would want to indulge in some cosplay during their first months of marriage. Though, I'm sure they will do without the conniving ladies maid and butler poking around. Actually, these two loving of Downton Abbey makes sense, when you consider how Cousin Matthew was a lawyer and Lady Mary was a disillusioned society miss. It's like Alamuddin and Clooney, except with the genders reversed and in the Edwardian era. The couple did retreat to their London abode after the wedding weekend they spent in Venice. It was a pseudo-honeymoon really. After all of the speed boats and celebrities, they probably wanted to spend some good ol' down time, making their house in the small village of Sonning-on-Thames a home. And looking at the swanky photos of the interior, I can definitely see why they would want to retreat to their mansion so soon. I'm sure they're already busy tricking it out with the newest, modern technologies.